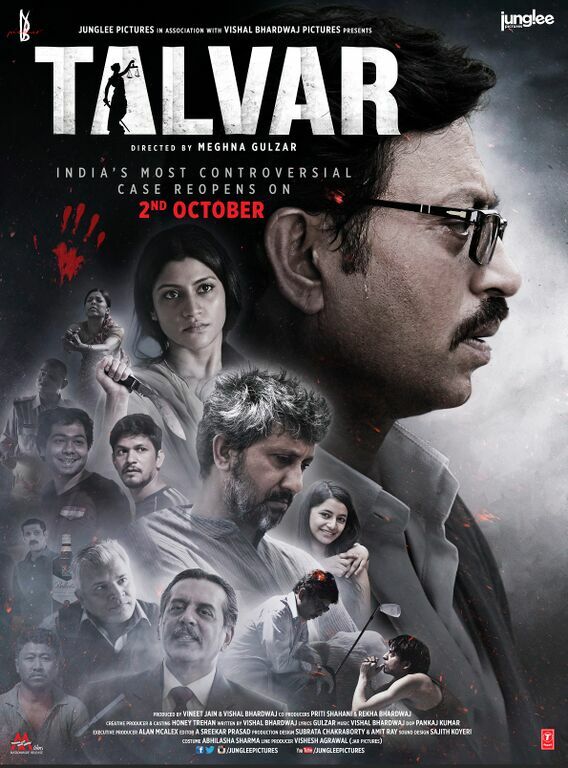 Talvar is based on the infamous 2008 Arushi Talwar murder case (though the name of the movie is not explicitly based on the name of the family involved). A content-driven, reel representation of what happened (and could have happened) in real life, Talvar, is a fast-paced movie that ensures that you don’t skip a scene or a dialog. It is the distant cousin of the Japanese film Rashomon in trying to portray different versions of the same incident. For all those who have followed the case in media, this will be like a recap with an added layer of turn of events that was perhaps hidden from public view or is purely a work of fiction, nonetheless, fitting the story perfectly well and making it for an interesting watch. With the major exception of names being changed (but easy to relate to), you get a feeling of knowing the story beforehand and just then it blends perfectly well with details you were not exposed to (or the work of fiction as mentioned above). The film highlights the shoddy first investigation which had worked against the investigation officers in constructing evidences to firmly establish the motive of the murder and zero down on the killer. This is followed by a reel life portrayal of the investigation being handed over to CBI (CDI in the movie) and subsequently to a different CDI team. Call it fiction or depiction of ‘true rumors’, the movie touches upon the influence of bureaucracy, corruption and self-interests in the judicial system which force truth to take a back seat with selfish interests steering the turn of events. If into the movie you tend to believe that the incidents presented are indeed reality, you can’t help but chuckle at a lot of small actions, their interpretations and then their presentation as evidence and consequently going by the initial assumption, also pity the ordeal that the family went through. Meghna Gulzar and Vishal Bhardwaj have weaved the story with extreme intricacy and it has been equally supported with some excellent performances by Irrfan Khan, Konkana Sen Sharma and Neeraj Kabi who ensure that you continue to discover suspense in a story you have read, heard and seen over and over again.